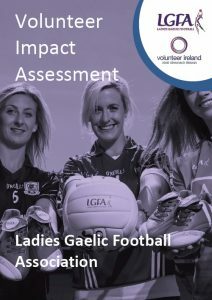 The Ladies Gaelic Football Association launched our Strategic Roadmap in 2018 and a key focus area of this was Volunteer Development and Support. It was essential that LGFA understood the current impact that volunteers were having on our sport but also what we were doing to assist the volunteers to reach their potential. 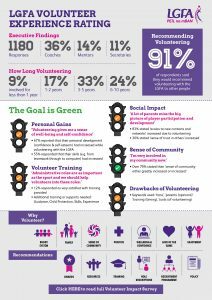 With this in mind we conducted our first ever Volunteer Impact Survey and the full results of this are available to download by clicking on the image below. There is also a summary graph available. This data is invaluable and will enable us to put the required support structures in place.